Embark one of My Paris River boats for a private romantic cruise and (re)discover the most beautiful monuments of the capital. For pleasure or to celebrate an event (first date/wedding anniversary, honey moon), there is nothing more intimate than a one-to-one moment on a private boat. 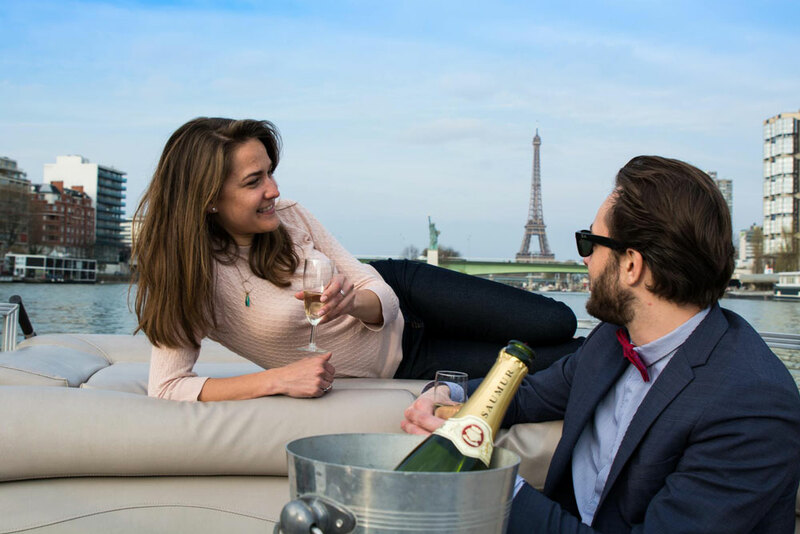 While enjoying a glass of Champagne, you will marvel at exceptional viewpoints that will make this romantic cruise an unforgettable moment. We felt like we had Paris and its lights only for us! Comfortably seated, enjoying a few glasses of Champagne, we had an unforgettable night. • You enjoy a sumptuous cruise tailored to your need. • The skipper is a true Parisian who will make you (re)discover his city with passion.